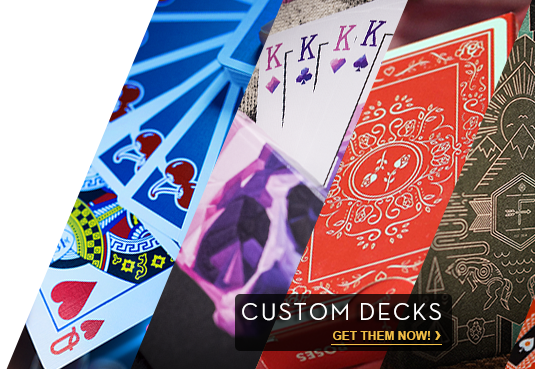 One of the stand-out features of the deck's design is the unique face cards that have been created from scratch. This includes the design of the index font, suit symbols, symbol placement and court cards. All of these elements also work together to create an 'implied border,' which makes each packet more distinct in cuts when viewed from the face side.